Metal Gear Solid V: The Phantom Pain has proven to be a hit, selling five million copies worldwide. According to today’s Nikkei, the Tokyo-based fitness company has began internal talks about the next Metal Gear title. 11/4/15 - 2am Update: Konami has confirmed to Kotaku the Konami LA studio has been closed. Full statement below. The print edition of Nikkei (via 2ch) reports that Konami is mulling over plans for another title in the popular stealth series. The newspaper adds that Metal Gear creator Hideo Kojima, who is apparently on vacation, has not said whether or not he’ll be involved in the next title. Seeing how Konami took Kojima’s name off The Phantom Pain’s box art, dissolved his studio, and canned Silent Hills, it’s hard to see him staying on (though, who knows how this will all play out)—especially considering the rumors about Konami’s work environment. Recently, Kojima said what seemed to be his goodbye to the series. “When we start development, a large-scale investment will become necessary,” Konami is quoted as saying by the recent Nikkei article. Nikkei reports that details about the game, including a release date, haven’t been announced yet—obviously. 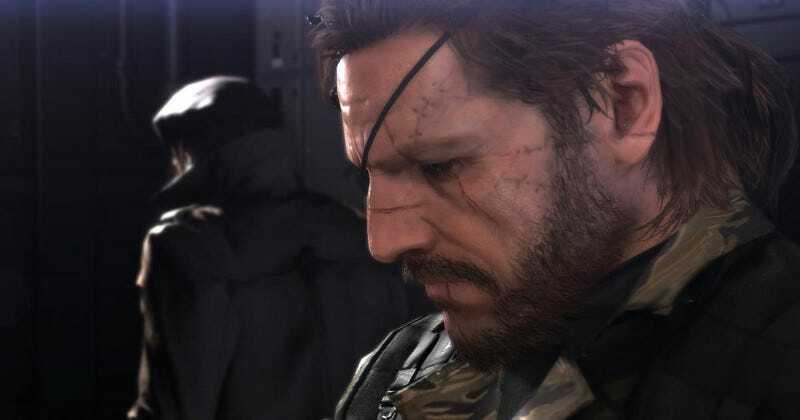 While the paper reports that Konami is merely examining plans for another Metal Gear, Konami previously stated it would continue making more games in this stealth series. This comes amid rumors that Konami just shuttered the studio formally known as Kojima Productions LA. How’s that for timing? Kotaku reached out to Konami prior to publication, but hasn’t yet received a comment. KONAMI has made the decision to close its Los Angeles Studio, effective immediately, due to the product development resources being restructured into a more centralized unit. This facility contributed to the recent METAL GEAR SOLID games. KONAMI will continue its operations to support all METAL GEAR SOLID titles, including the recently launched METAL GEAR SOLID V: The Phanton Pain and METAL GEAR ONLINE. METAL GEAR ONLINE is still scheduled to release for PC Steam in January 2016.